I hope ya’ll had a great weekend! 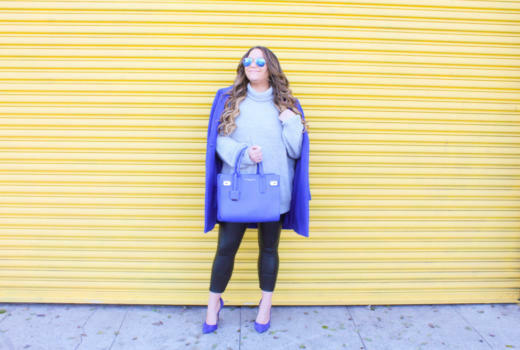 My BF + I spent it shooting outfits in Burbank, followed by a fun car show. ICYMI, I am a major classic car fan, so anytime there is an opportunity to see a car show, I am down! I love nostalgia, thinking of an easier time when we weren’t glued to our funs + instead were living in the moment, another thing that gives me nostalgia? 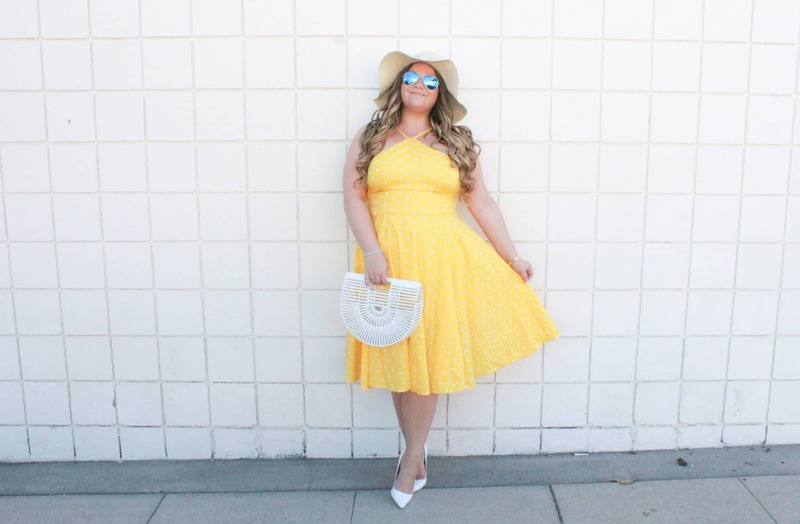 Vintage inspired fashion, like this Venus yellow polka dot dress! 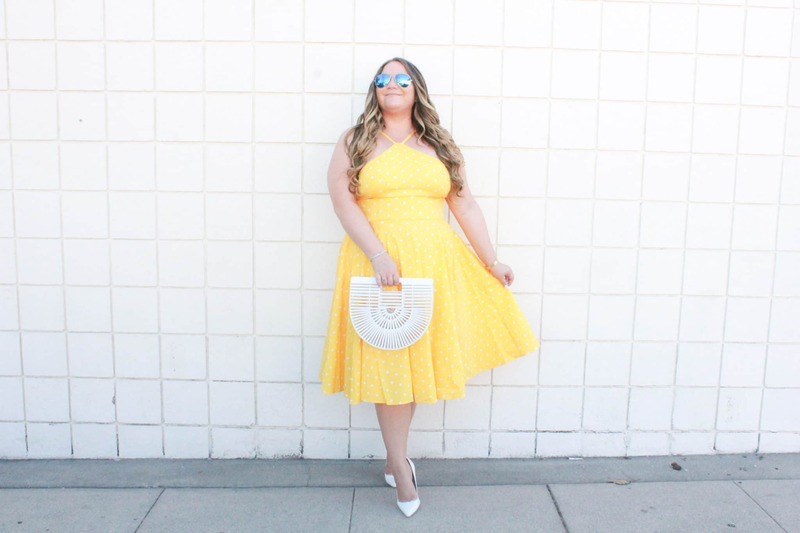 When I laid eyes on this dress, I instantly thought 50s housewife or time to go watch the horse race hehe :p Either way, it’s definitely not typical LA + that is why I love it so much! When I spotted this dress, I instantly fell in love. 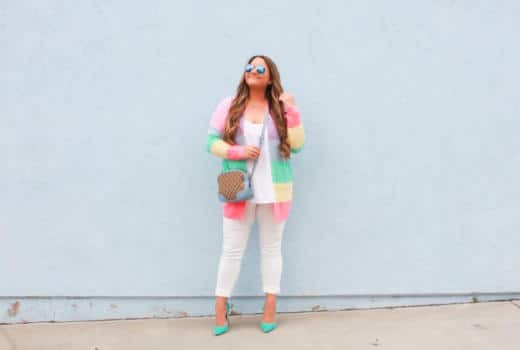 It is just so bold, bright + fun! 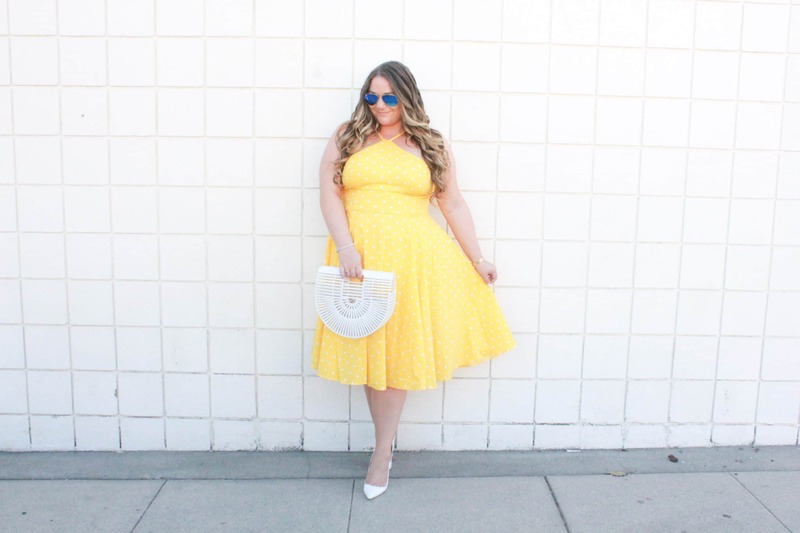 The halter style with midi length makes it the perfect classy dress for any occasion. 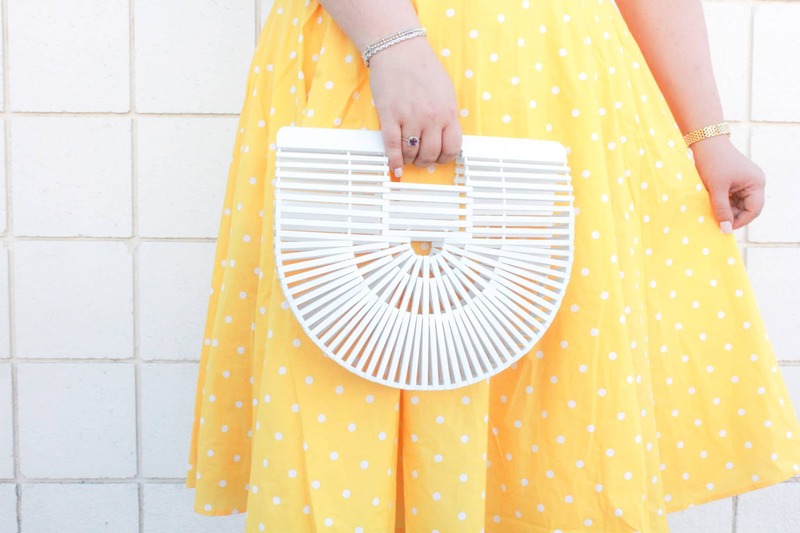 I recently discovered Venus.com + realized they truly have the BEST dresses, and if you know me, you know I love a good dress. 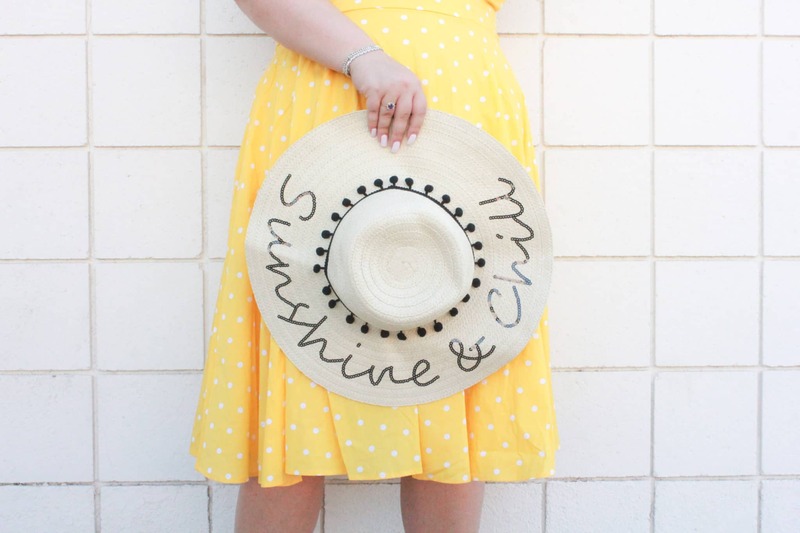 I styled this dress with another fun find from Venus, this Sunshine + Chill Floppy Hat. 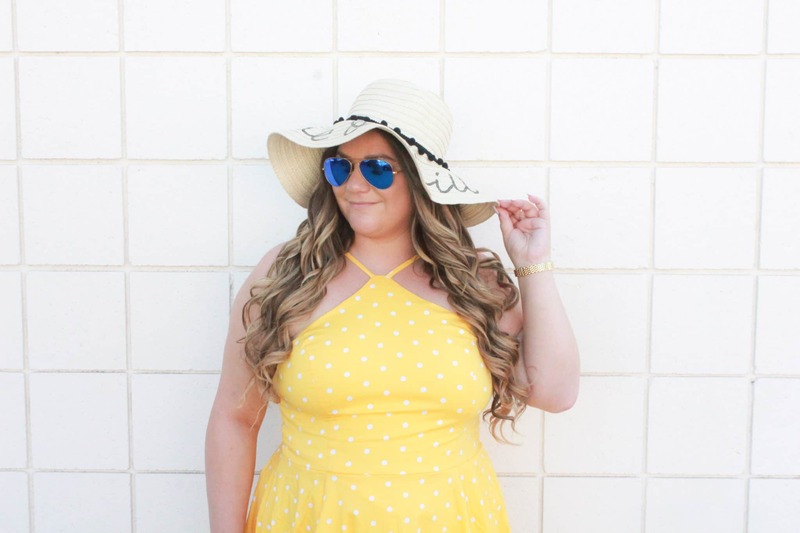 It’s the ultimate vacation hat, I mean, Sunshine + Chill? What’s more vacay ready than that haha! 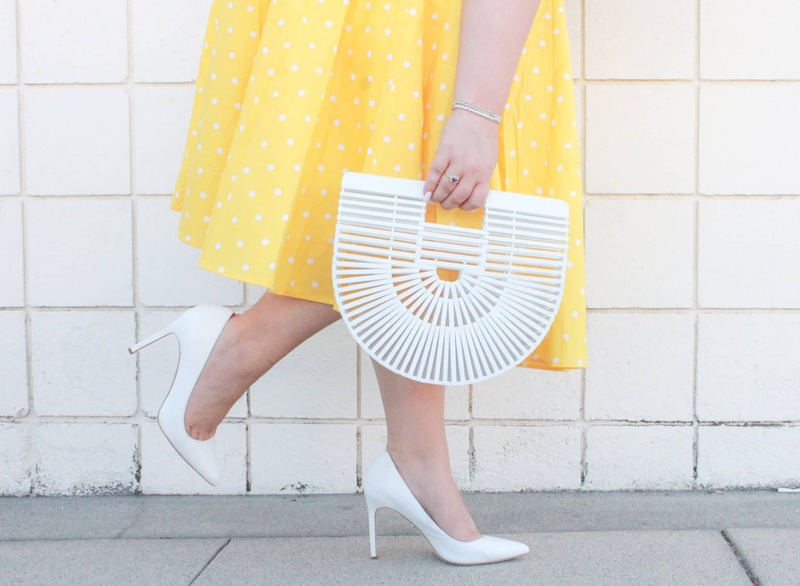 For summer, I always find white accessories to be the way to go…maybe I just have a white obsession but I love the clean, crisp look of white heels or bags.